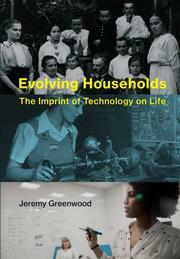 Greenwood shows, for example, how electricity and labor-saving appliances freed women from full-time household drudgery and enabled them to enter the labor market. He explains that fertility dropped when higher wages increased the opportunity cost of having children; he attributes the post?World War II baby boom to a combination of labor-saving household technology and advances in obstetrics and pediatrics. Marriage rates declined when single households became more economically feasible; people could be more discriminating in their choice of a mate. Technological progress also affects social and cultural norms. Innovation in contraception ushered in a sexual revolution. Labor-saving technological progress at home, together with mechanization in industry that led to an increase in the value of brain relative to brawn for jobs, fostered the advancement of women's rights in the workplace. Finally, Greenwood attributes increased longevity to advances in medical technology and rising living standards, and he examines healthcare spending, the development of new drugs, and the growing portion of life now spent in retirement.